The device’s predecessor was an improved class-III device. This device was clinically tested on around 200 patients (unfortunately without any documentation) and was seen as having an advantage when compared to the classic design. A training device used to eliminate any existing functional anomalies and to permanently neutralize any incorrect biomechanical inductions on skeletal and dental development. The Relaktor does an outstanding job to meet this need. It is an orthopedic physiotherapeutic device and myofunctional trainer. The Relaktor is manufactured based on the habitual bite position, and not on a constructed bite. Growth impulses at homoeopathic doses are sufficient: this affects distances between the lip supports and cheek guards. Excessive distances decrease the effectiveness of the appliance. The cheek bands must be taken into consideration in the design as only then will the patient’s high expectations be met. The lower jaw must be free to move around, analogously to the development of retrusive occlusion in newborns and a tendency towards end-to-end bites in cases of abnormal mature milk teeth. These are cases where abnormalities are also eliminated by abrasive means. This tends to be through grinding down of milk teeth, with a pre-treatment only very rarely being needed. The task of the functional appliance, primarily, is to support the development of correct functional spaces (both oral and respiratory). To achieve this, the practitioner must have a comprehensive understanding of the oral functions in terms of the spatiotemporal development process, as well as their influences on development. In diagnosis, this begins when the first teeth appear (during post-natal check-ups). The primary task is restorative and ends at the age of eight years. During this early developmental phase, the direction in which this dysgnathia (or tooth abnormality) is forming quickly becomes apparent. 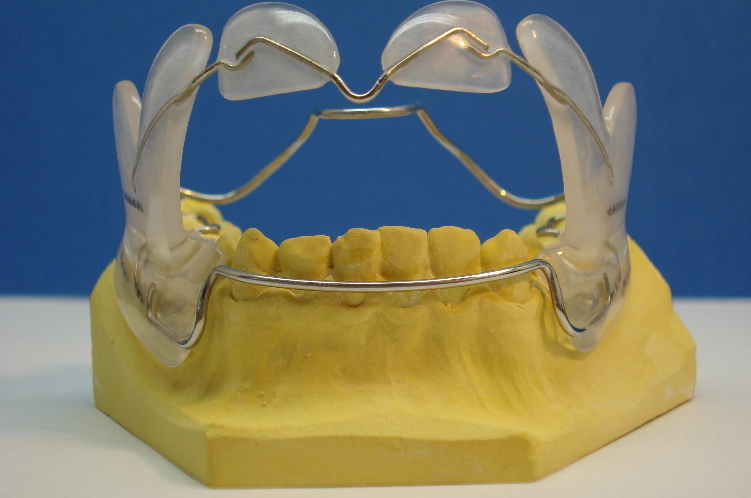 The relative jaw positioning is still, however, in class I and an appliance manufactured based on a habitual bite can still be created. The basic requirement for complication-free, functional, orthopedic treatment with the Relaktor. A continuous myoarthropathy treatment by a qualified professional in parallel to this is a matter of course. The Relaktor is essentially the basic appliance that has long been needed for early clinical treatment following the theory of Prof. Frankel. In the classical literature, functional appliances are used and described for indications that the devices only have a very limited indication for. Compensatory treatments are not the main application of functional appliances. Prof. Fränkel has also adopted this position, which can easily be seen in evidence. Here, the reason why this wonderful idea has not been implemented must be ascertained, and functional appliances must be understood in terms of their mechanical workings. Worse still: Why has early treatment in orthodontics completely fallen out of focus?